Hayek says ... "Yet it's evident she feels a certain ambivalence about being perceived as a beautiful woman in a world that often judges women on their appearance ." Ain't she right?!? Couldn't agree more with her! 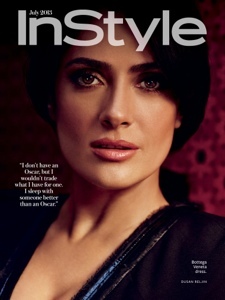 Photos from instyle digital magazine.